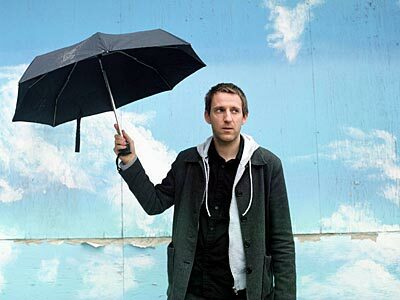 Denison Witmer Covers: Oasis, Big Star, Nick Drake, The Band, Bonnie Raitt and more! 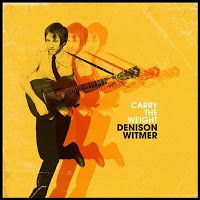 Over the past few weeks, Philadelphia-based singer-songwriter Denison Witmer has released several relatively spare covers to the internet as promotional teasers, part of a mechanism to build buzz in anticipation of Carry The Weight, an upcoming album of original songs. The approach is a familiar one, seen in an increasing number of singer-songwriters and bands teetering on the indie boundaries of folk music — see, for example, the lo-fi bedroom covers of the Morning Benders, or the recently-featured popfolk take on the Smashing Pumpkins from newcomer Amie Miriello. Overall, the phenomenon is especially validating, to me, because the use of covers as a familiar entry point to discover new musicians is the primary raison d’etre here at Cover Lay Down; to see artists and labels doing the same is a confirmation that, at least from the artist’s and industry’s perspective, our work is not wasted. But in this case, I’m also excited because I’m still in the process of discovering Witmer. And the more I hear of his increasingly understated mix of seventies folk sensibility and modern indiefolk production, the more smitten I become. Denison Witmer has been around for a while: he’s released a steady string of albums in a decade or more, and seems to have become a staple of the rich Philadelphia folk scene in that time. But though he’s not so far, geographically speaking, from my own rural Massachusetts setting, musically speaking, Dension’s more recent sound leans more towards the delicately organic indiefolk approach of Nick Drake, Elliott Smith or Mary Lou Lord, even as it comes across as smoother in performance than any of those musical peers and predecessors. And the Philly folk scene has long been separated from the Boston and New England folk scenes by the vast dividing line that is NYC; it is rare for artists to make it in both scenes without hitting a certain level of fame, if not notoriety, on a national level. As such, my experience with Denison comes from the very expansion of my own taste and experience in both the folkworld and the covers world which are part and parcel of my commitment to blogging over the last eleven months. On the folkfront, Denison’s name came up in my exploration of the work of Rosie Thomas, especially following the release of her blog-favorite album These Friends of Mine, which was heavily influenced by Thomas friends, co-producers and session musicians Sufjan Stevens and Denison Witmer. And, in the covers realm, I’ve recently discovered, and come to appreciate, Denison’s delicate, reverent takes on a well-selected subcatalog of other people’s songs. As with his previous covers album, 2003 release Recovered, these newest covers are nothing especially transformative, but that’s not the point. As we heard in our previous Single Song Sunday feature on Jackson Browne/Nico song These Days, which included Dension’s version of the song amidst a huge pile of other covers, Denison’s approach to coversong strips songs down to their sonic core, not so much reinterpreting as owning and refocusing the songs in toto — from arrangement to lyrical structure — in the particular context of Denison’s languid voice, rich string style, and preferences for a slow, songwritery, richly atmospheric, and slightly folkpop production. In the past, the result turned songs by The Band into highly recognizable versions of songs by The Band done with reverence, one voice, and just a slightly more focused production, songs by Big Star into folkrock songs with Big Star’s particular riff style and grunge approach. Here, it means quiet, stunning, reverent-yet-raw bedroom cover versions of Bonnie Raitt’s signature tune I Can’t Make You Love Me and The Red House Painters’ beautiful Have You Forgotten, and — released just today — a pensive campfire cover of Oasis hit Champagne Supernova, all of which both reflect and totally re-center familiar songs, allowing them to retain the tone of the original, while creating a pleasant new entry into each through consistently warm, slightly raspy tones. You get the best of both worlds, in other words: covers which show Denison’s commitment to songcraft and musicianship; songs which speak clearly as songs, recalled and refreshed with respect. Remember, folks: we’re here, in part, because the folkprocess survives in the way artists and song each winnow towards and away from each other, giving us entry into the best of what is new and current through the old and familiar. But though Denison released a vast swath of his catalog free for eternal download a few years ago in honor of his thirtieth birthday, you can’t eat free. If these covers take you to listen to and subsequently buy the original works of Denison Witmer, and remind you to order Carry The Weight when it comes out in November, then the model works for all of us — the artists, the labels, the bloggers, the fans. And then, everybody wins. A few more, perhaps, before you go? Though Denison’s influence, voice, and signature sound, like Sufjan’s, is all over Rosie Thomas’ These Friends, not many people realize that one of the best songs on that album is actually a cover of one of Denison’s earlier songs. Here’s that cover, plus the incredible original, since it seems to have gone relatively unheard in last year’s Rosie Thomas lovefest…plus another paired set from Denison and Thomas, pulled early from an upcoming feature on the songs of Fleetwood Mac. Cover Lay Down publishes new covercontent Sundays, Wednesdays, and the occasional Friday or Holiday. Coming soon: new old timey musicians take on timeless songs, sweet songs of apples and honey to celebrate the Jewish New Year, and yet another installment in our popular Covered in Kidfolk series for cool moms and dads.